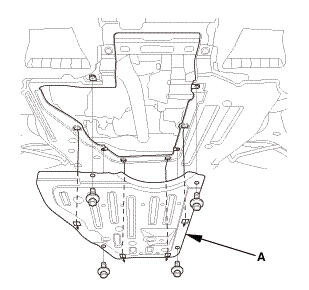 Remove the front engine under cover plate (A). 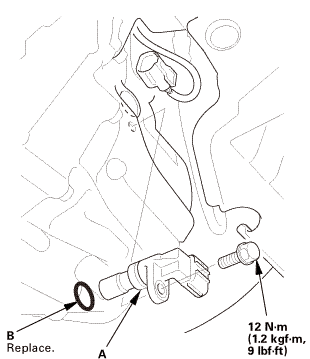 Remove the output shaft (countershaft) speed sensor (A). 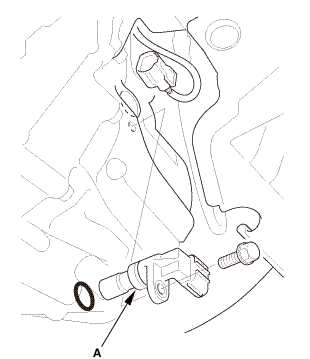 Install the output shaft (countershaft) speed sensor (A) with a new O-ring (B). 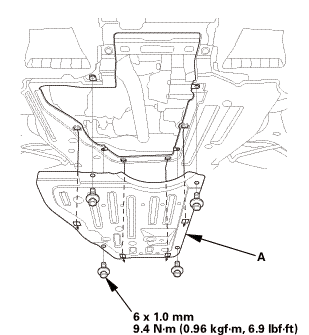 Install the front engine under cover plate (A).